Yellowstone, Grand Canyon, Great Smoky Mountains… we’re sure you’ve heard of all these popular national parks. But did you know that there were many more spectacular, lesser-known parks in the USA? From depth-defying canyons and enormous sand dunes, to volcanic islands and even a park that’s only 1% dry land, we’ve picked our top 10 lesser-known National Parks in America that need to be seen to be believed. 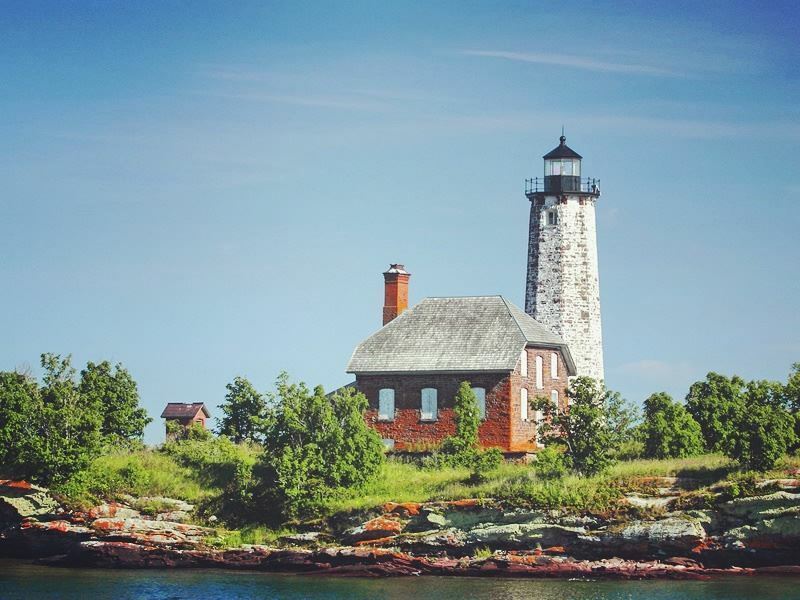 Where: This scenic wilderness is found in Michigan, on Isle Royale and other adjacent islands in Lake Superior. What: This remote island is so isolated and relaxing that your trip here will feel nothing less than poignant and memorable - many who have camped here have said that the peace and quiet here offered pure solitude, and a great area to reflect on troubles. Preserving 132,018 acres of land, the island is naturally beautiful, surrounded by the topaz blue of Lake Superior. This park is perfect for those looking for a touch of adrenaline too – from hiking, to kayaking. Just don’t expect to see many people on the way. Highlights: To discover the park’s beauty, be sure to wander along the Stoll Trail. This path journeys through forests and shorelines, offering unforgettable views of Soville Lake and the barrier islands. Named after journalist Albert Stoll who campaigned to give the island its preserved status, this trail is the perfect way to see all the park has to offer. 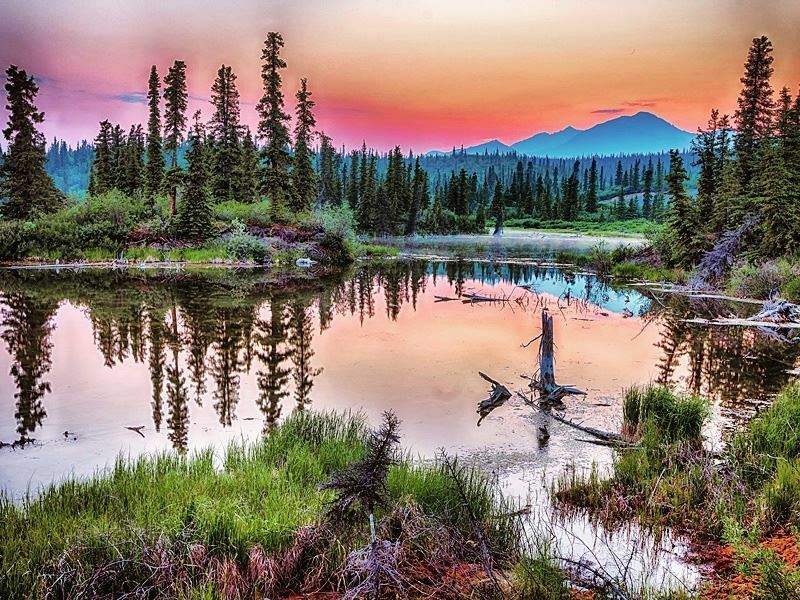 Where: This National Park is located in south-central Alaska, rising from the ocean all the way to Mount St Elias. What: This vast park is very big indeed – in fact, Yellowstone National Park, Yosemite National Park and Switzerland combined could fit into its expansive landscape. You’ll certainly be wowed by its stature too – a rugged land covered with some of the largest volcanoes in North America, surrounded by icy cold glaciers and alpine meadows. You won’t be wandering alone here either – the majestic caribou outnumber the humans in Alaska. Highlights: Get up close to the soaring frozen glaciers with an afternoon of ice climbing. Taking place at the gigantic Root Glacier, people of all ages and skills can get a surge of adrenaline as they take in incredible views of Stairway Icefall and Mt. Blackburn. Where: This geological wonder is found in south-central Utah, in the heart of the red rock county. What: The geology here is simply fascinating, filling the sweeping area with reddish-orange sands, tall, jagged cliffs and canyons, free-standing monoliths, ruined civilisations, and even more impressive sandstone formations. This is certainly how earth may have looked thousands of years ago, and walking through it is definitely a serene experience. There’s plenty of historical sites too, preserving over 240,000 acres of desert. Highlights: The Waterpocket Fold certainly embodies the park’s unbelievable geology. Known as a ‘wrinkle on the earth’, this geologic formation juts out in jagged peaks, snaking its way through the park for nearly 100 miles. Surrounded by colourful cliffs and white domes of Navajo Sandstone, walking along this incredible monocline is a simply breath-taking experience. Where: Western North Dakota, spread over three geographically separated areas of badlands. What: Years ago in 1883, a young Theodore Roosevelt travelled to North Dakota to hunt its magnificent bison – a trip that kick-started his love for its rugged lifestyle and beautiful landscapes. In the years afterwards, the President came back to this area and invested in two cattle ranches, using one to seek solitude in 1884, before pursuing his conservation policies as President. 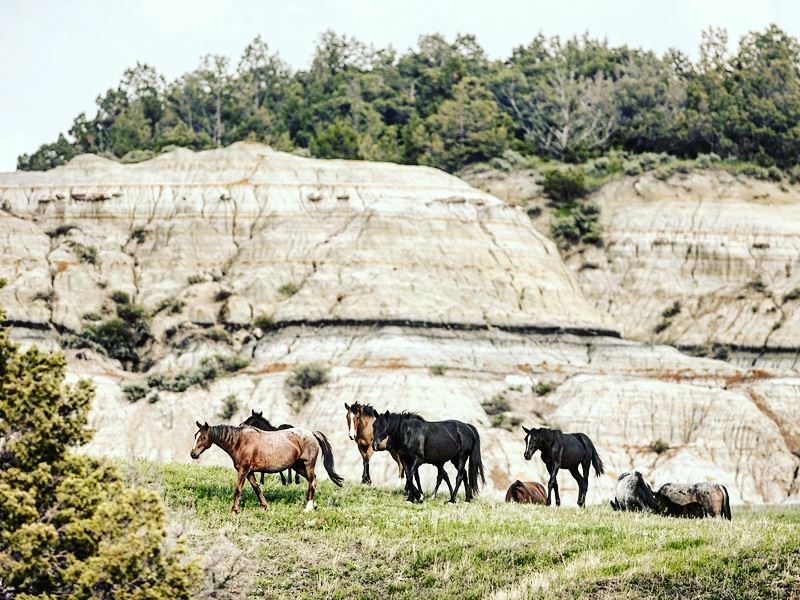 Now, this vast area of seemingly striped cliffs, verdant meadows and hundreds of bison has been named after the President, offering an amazing landscape full of memorable wildlife and fauna, including feral horses, bighorn sheep and prairie dogs, and the winding Little Missouri River. Highlights: The 36 mile Scenic Loop Drive in the South Unit of the park is a fantastic way to witness all of the natural splendour Theodore Roosevelt National Park holds. An abundance of wildlife can be found dotted along its twisting path, as well as plenty of scenic pullouts, and interpretative signs showing off the park’s historical and natural features. Where: White Pine County in east-central Nevada, near the Utah border. What: Crystal clear lakes are surrounded by bright orange trees and soaring mountain peaks at this amazingly beautiful National Park. Home to the mostly dry and mountainous region, Great Basin, this is a truly unique area to explore not far from Las Vegas’ lively glamour. The bristlecone pines are the most noteworthy of all – these are one of the world’s oldest trees, and they perch magnificently above the barren landscape. 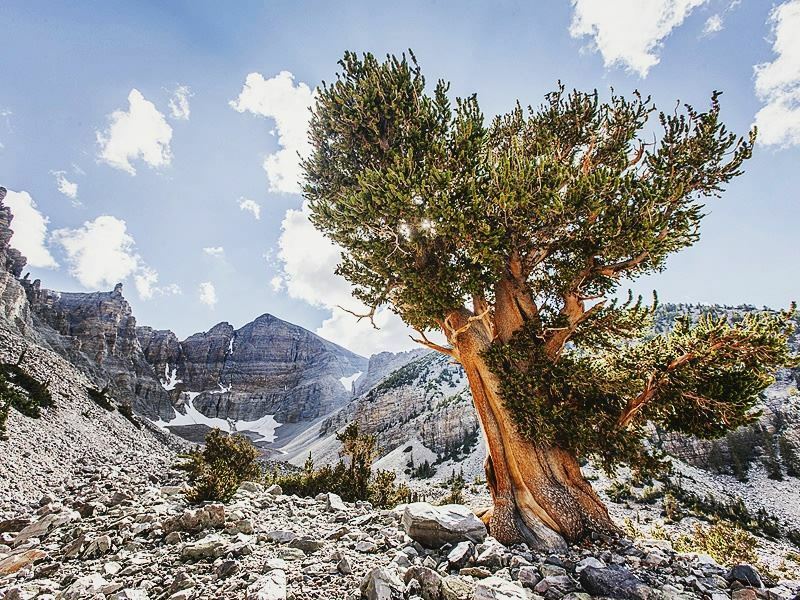 Highlights: No trip to Great Basin National Park is complete without journeying down to the world beneath it. The fascinating marble Lehman Caves are full of striking stalagmites, stalactites, and over 300 rare shield formations – an area that’s so fragile that you’ll need to go through a screening process before you venture through to check that your clothes are clean. It’s worth it though – the guided cave tours are an adventure you won’t want to miss. 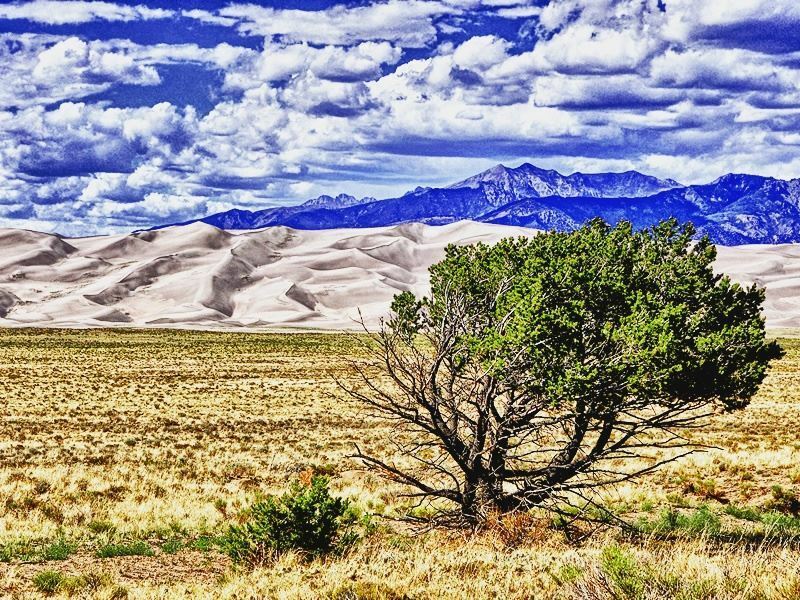 Where: These marvellous dunes are found in the San Luis Valley in Colorado. What: Imagine racing down a gigantic sand dune on a sled or a sandboard, the wind flowing through your hair as you throttle down the orange sands. All this and more is possible at this awesome National Park – home to the tallest dunes in North America. It’s not just sand sledding and sand boarding though, the dunes is surrounded by a diverse landscape of conifer forests, dense wetlands, and the shallow Medano Creek offering the perfect place to hike or splash around in the water. Highlights: The sand dunes aren’t just phenomenal in the day time. 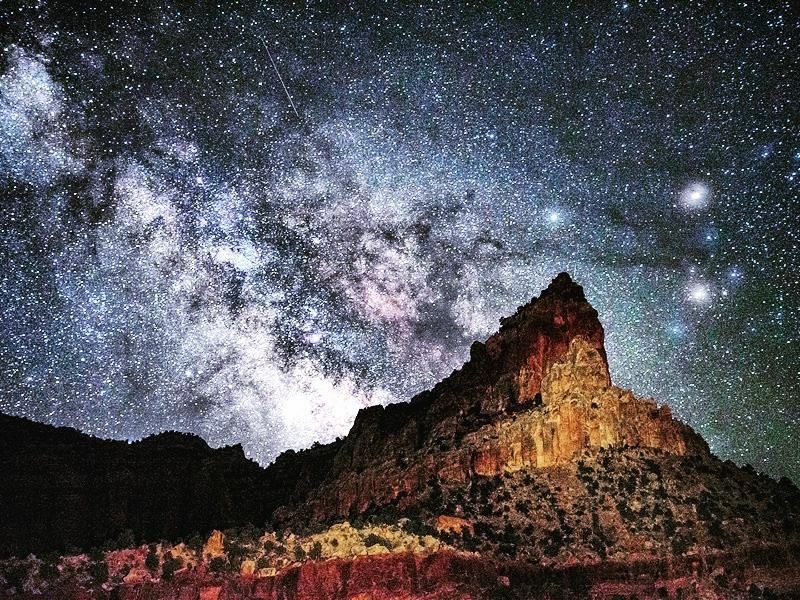 This unique National Park is a fantastic dark sky viewing location, its lack of light pollution and high elevation providing the perfect backdrop for millions of glistening stars. There’s plenty of nocturnal wildlife around too, including camel crickets, bobcats, coyotes and owls. Where: This luscious park is located in the state of Washington, less than three hours from Seattle. 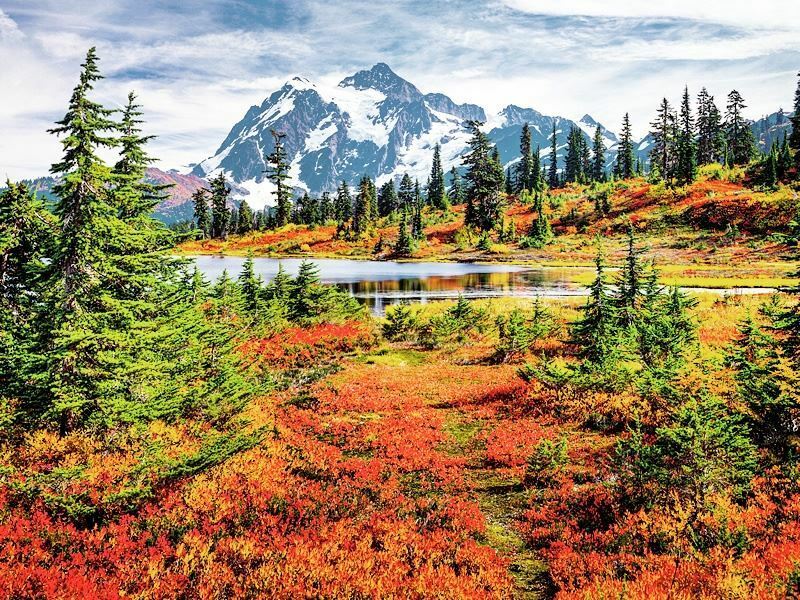 What: Protecting portions of the gigantic North Cascades range, this alpine landscape is truly breath-taking. This National Park is a backpacker’s dream, providing a spectacular scene of snow-capped and forest clad mountains, brilliant blue lakes, and colourful alpine meadows. 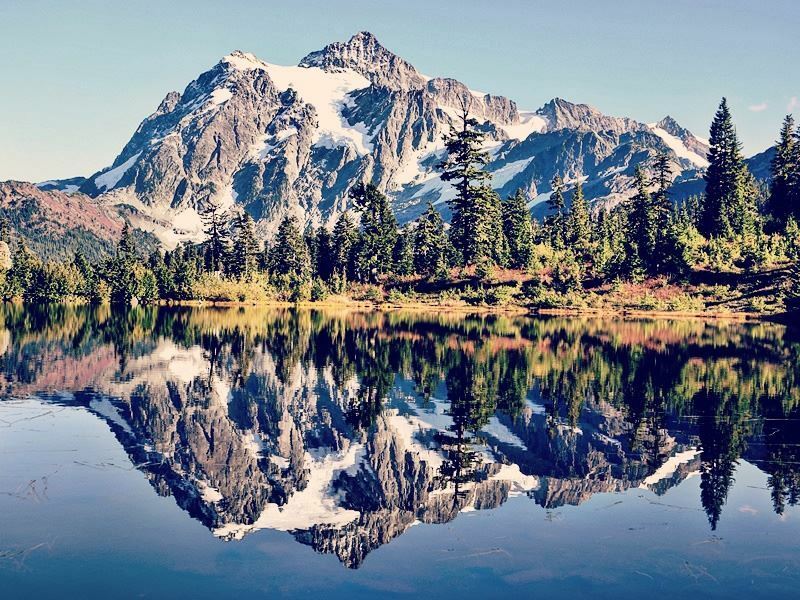 Mountain climbers will love it here too – the park is home to one of the most photographed mountains in the country, Mount Shuksan, and has plenty of fantastic hiking trails. Highlights: When hiking through the vast mountain scape, be sure to follow the path to Cascades Pass, a 5.4 mile stretch of road with panoramic views of the jagged Cascades range and the sweeping valleys that encompass it. What: This park holds an impressive collection of unique landscapes, from Lassen Peak – the largest plug dome volcano in the world – and meadows dotted with wildflowers, to hydro thermal areas and fascinating boiling springs. The clear mountain lakes are truly stunning, reflecting the towering mountains that adorn its edges, whilst the volcanoes here are really impressive. The hot springs are pretty cool too, including the amusingly named Bumpass Hell and Devils Kitchen. 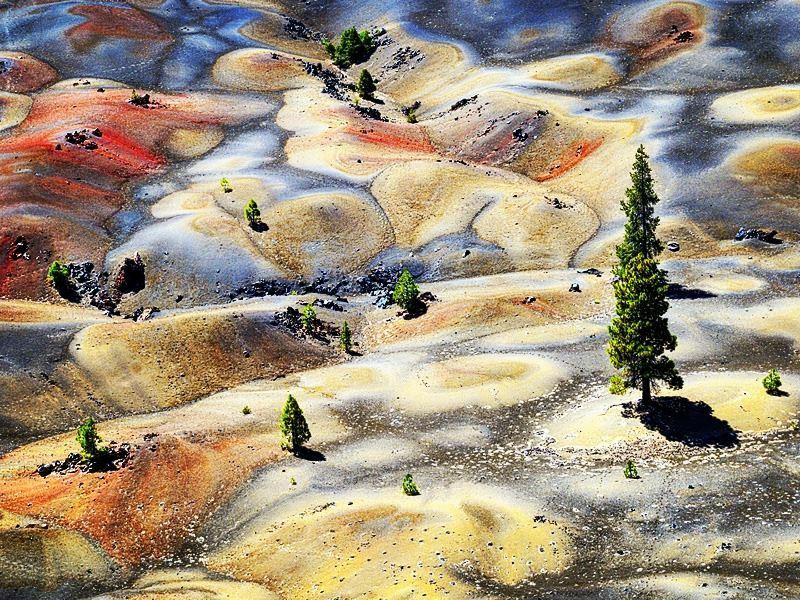 Highlights: Hiking up a volcano is a brilliant memory to tick off your bucket list – and this particular climb up Lassen Peak may be strenuous, but it’s not a technical climb. If heights aren’t your thing, the view of the volcano from Lake Helen is beautiful – this elevated lake sparkles at its base, the east side offering a fabulous picnic spot. Where: The National Park lies around 68 miles west of Key West in the Gulf of Mexico. What: Mostly open water with seven small islands, this National Park is actually only 1% dry ground. So, of course, this spot is particularly good for an afternoon of snorkelling through coral reefs and spotting a myriad of exotic marine life. 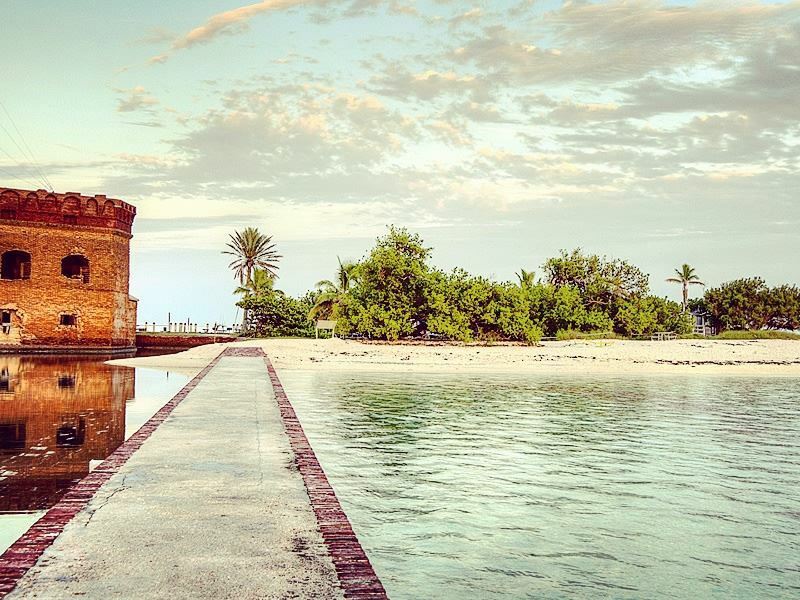 Only accessible by boat or seaplane, this is Florida’s intimate, not-so-secret area, home to Fort Jefferson and a plethora of other historical and natural wonders. Highlights: The island of Garden Key is a particular highlight thanks to it housing Fort Jefferson, one of the nation’s largest 19th century forts. Once used as a prison during the Civil War, definitely spend a morning discovering its rich history, before spending the afternoon swimming amongst the islands. Where: This impressive area is nestled in Western Colorado. 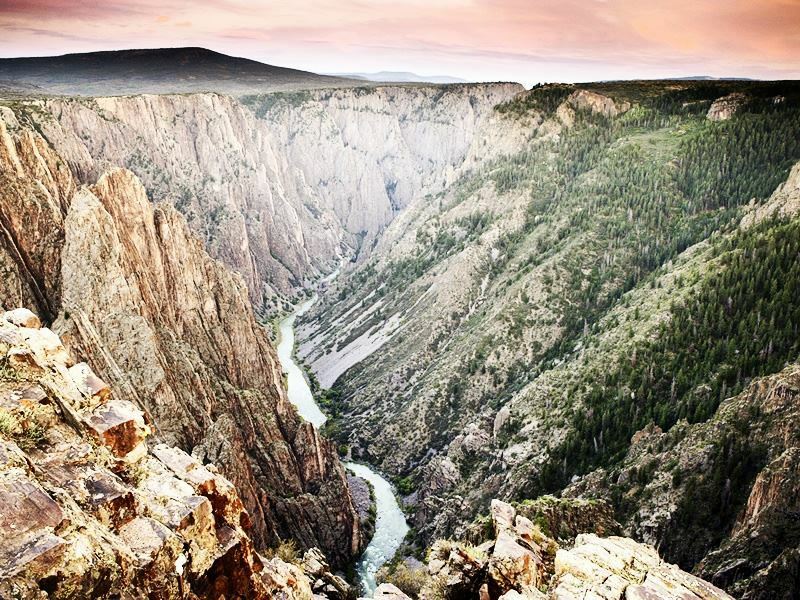 What: The rocky, wild waters of Gunnison River has sculpted this vertical landscape - a momentous canyon that drops almost vertically into the winding river. The two billion year old walls are often shrouded in darkness, which makes the jagged Precambrian rocks appear almost black, and offer one of the most adrenaline fuelled climbing frames for advanced climbers. Highlights: Though only advanced climbers are allowed to face the sheer drop to the river below, there are plenty of scenic drives that let you witness its unique beauty. The South Rim Drive twisting from Tomichi Point to High Point is truly remarkable, offering 12 amazing look-outs, including Gunnison Point, Chasm View, Painted Wall and Sunset View.